According to Japan’s Meteorological Agency, 2014 set new inauspicious marks as the hottest year in the global climate record since measures began in 1891. Temperatures rocketed to 0.27 C above the 1981-2010 average, 0.63 C above the 20th Century average and showed a severe pace of warming of 0.70 C per Century. By comparison, the end of the last ice age featured century scale warming at the rate of 0.04 to 0.05 C every 100 years. 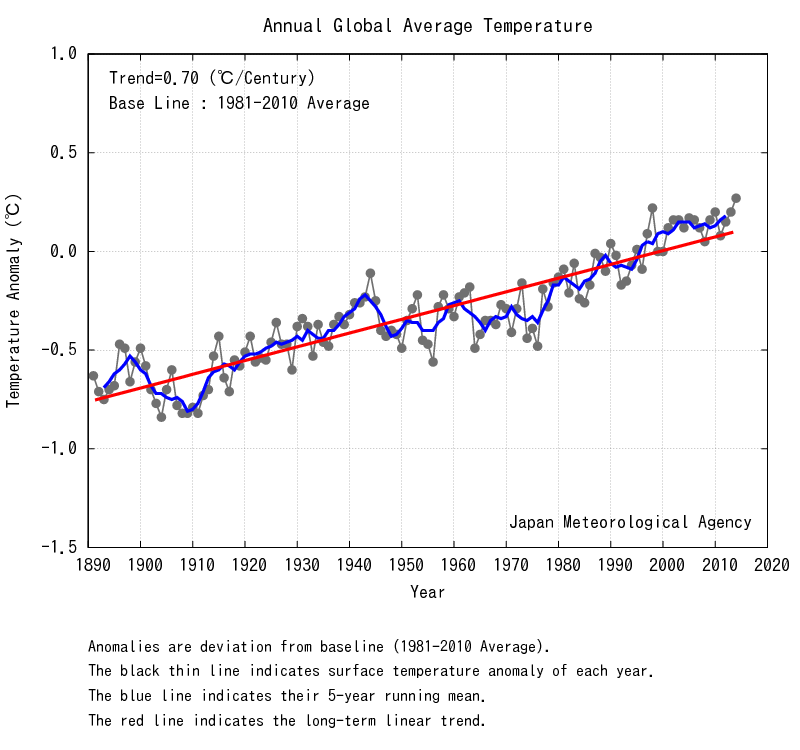 So the current rate of warming, according to the JMA measure, is 14-17 times faster. A rapid warm-up driving increasingly severe weather and geophysical changes. NOAA is also expected to show 2014 as hottest year on record. NASA is likely to show 2014 as 1rst, 2nd or 3rd hottest.